Indian maestro was indeed the better of the two icons. On the eve of Tendulkar's 41st birthday, his first after retiring from international cricket, Rudolph Lambert Fernandez has come up with a book Greater Than Bradman, which aims to prove that the Little Master is the greatest batsman of all-time. "It is not another biography of Sachin or Bradman. It is not another compilation of interviews, match anecdotes and expert essays. It is not an autobiography. It is an analysis. It is a forensic study that aims to set the record straight," the author claims about the book. "This is the first and only book that challenges Bradman's rank as a batsman," he says. Fernandez wishes to present a copy of the book to Tendulkar's brother Ajit, his wife Anjali and his formative coach Ramakant Achrekar. "I am eager to present a paperback of the book to the three As, who were in many ways responsible for Sachin realising his greatness -- Ajit his brother, Achrekar his coach, and Anjali his wife. This book is a celebration of Tendulkar's greatness and what he stood for on the cricket field -- there is no higher tribute," said Fernandez. Fernandez says the book uses illustrations from "science and martial arts" to prove Tendulkar's greatness. "It questions traditional measures of greatness that revolve around statistics. It offers a more honest approach that respects a batsman's figures but places them against the backdrop of his playing environment", he says. 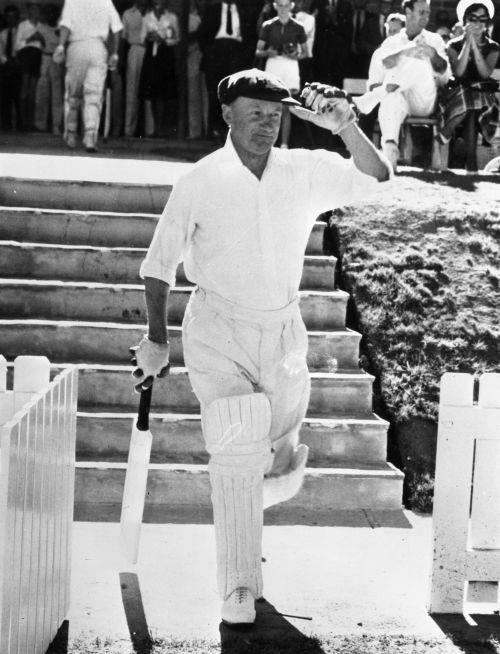 "The 21st century cricket readers need a closer look at Bradman. They appear all too familiar with Sachin, having seen his every shot dissected a 100 times. They have seen his ducks, his run-outs, his many failures," said Fernandez. Fernandez said his book offers a whole new perspective on Tendulkar's cricketing career. 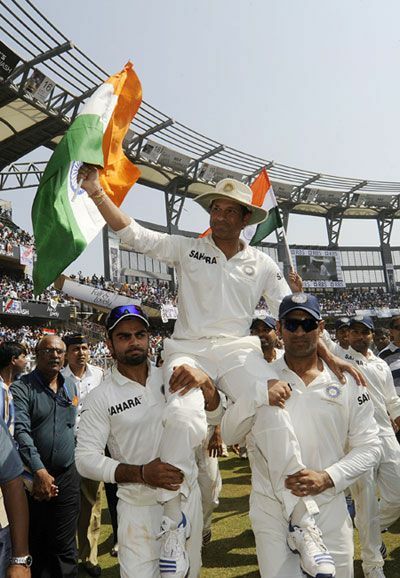 "This book is not about Sachin being the greatest batsman in 1998 or in 2010. 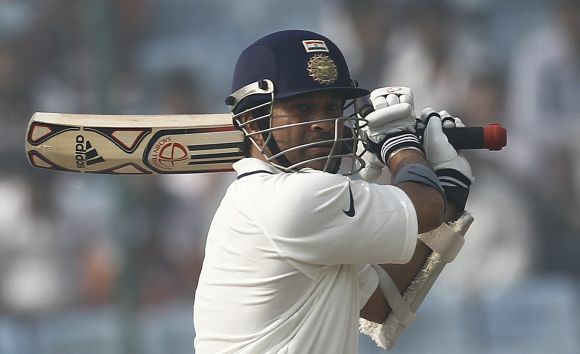 It is about him as the greatest batsman in cricket history," he said. "While the point of this book is to demonstrate Sachin's superiority over Bradman, it would be a pity if this were to be read as scorning the similarities between them – their desire to dominate, their eagerness to excel, their genius. Thankfully these have been celebrated already by other writers," he said. Tendulkar's 198 Test appearances yielded 15,837 runs at an average of 53.86, a feat so huge in magnitude that no contemporary or even a talented successor of his, looks capable of overhauling it in the near or distant future. At the end of his ODI journey, the 40-year-old right-hander had, under his belt, a whopping 18,426 in 463 matches at an average of 44.83. The right-hander retired as only batsman to score 100 international centuries -- 51 in Tests and 49 in ODIs.